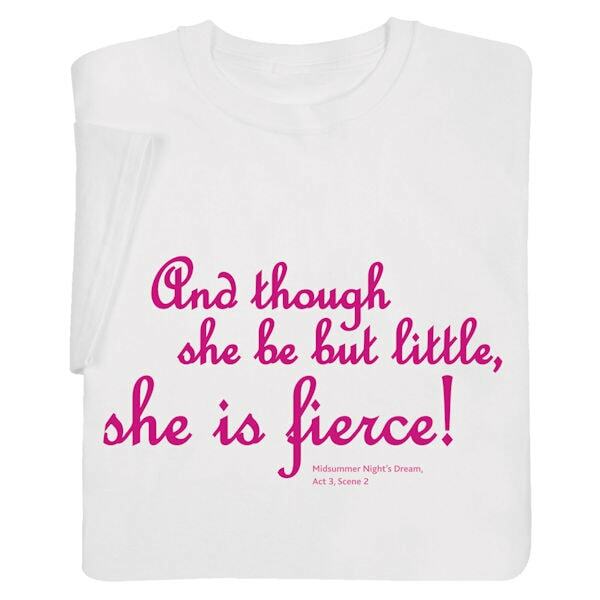 Do these words from Shakespeare's Midsummer Night's Dream remind you of someone you know, be she baby, toddler, or adult? White sweatshirts are 50/50 cotton blend; ladies' style T-shirts and baby snapsuits are preshrunk 100% cotton. Youth sizes S (6-9), M (10-12), L (14-16). Adult sizes S-XL. 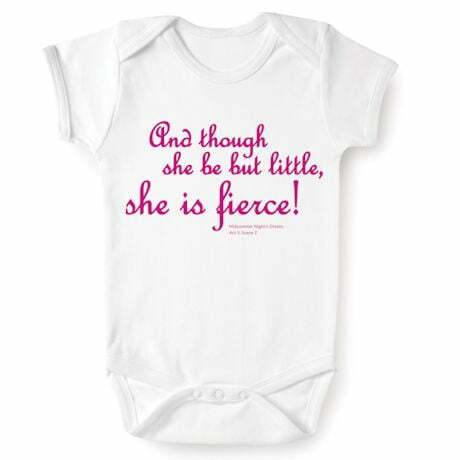 Infant sizes 6 mos., 12 mos., 18 mos., 24 mos. Toddler sizes 2T and 4T. Imported.